We have prepared new packages for you. Have you ever been to Malá Skála? Than you should have visited restaurant “Boučkův statek”. During last years this old style traditional building was famous through the whole country because of its friendly and motivated team, cooking Old Czech cuisine. It was sad to hear, that by the end of 2016 they left this restaurant. There is important information for those who enjoy their culinary art and specialities. The original team from “Boučkův statek” has not move so far. 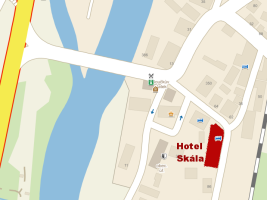 They just moved only few meters to Hotel Skála and they continue there with their tradition of cooking excellent cuisine extended of hotel services. All visitors would be satisfied, as all their services will be on the same level as their cooking art.